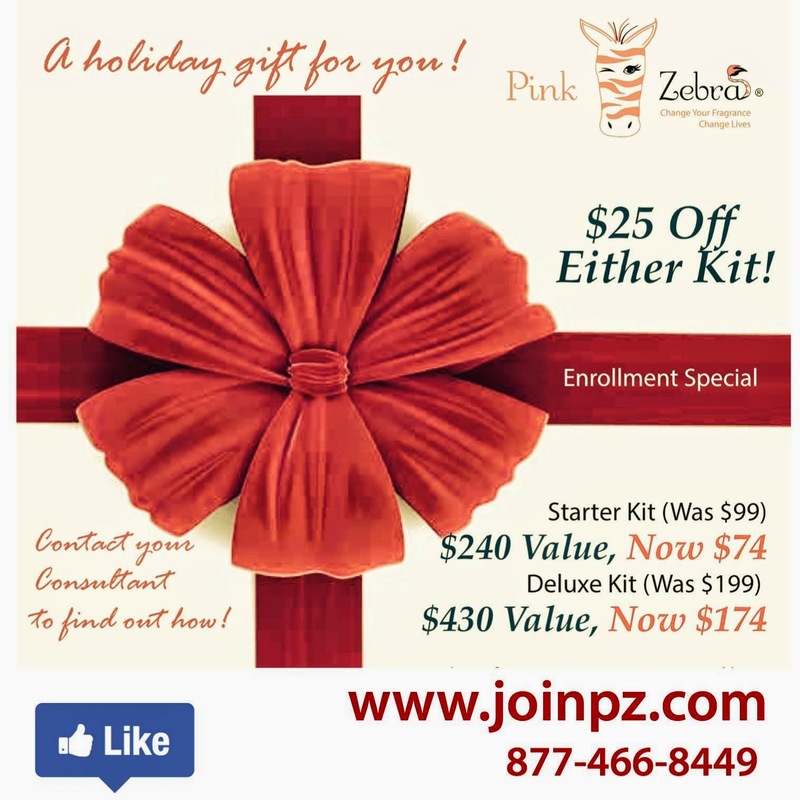 Pink Zebra Kit Special Join Now for $49 Holiday Sale! those joining our amazing team this month! $49 Pink Zebra Starter Kits! gift than a business for yourself or a loved one! details on this special pricing. you can earn full time pay for part time work! to earn hundreds more in your first 90 days. Exclusive through me! Call or email me for this special deal. What comes in your Pink Zebra Kit? I hope you decide to join Pink Zebra and my amazing team! and make your own candles this holiday season. Mix and match the scent you want. Make a special scent for that special teacher in your child's life, name the scent what ever you would like. How about warm apple pie and amaretto cream -Pie ala mode? candles and people love receiving candles as gifts! Shop early for the holidays! Affordable Christmas Gifts. Another successful year for http://www.thezebradiva.com at the 10th annual Connecticut Garlic & Harvest Festival at the Bethlehem Fairgrounds. There were over 200+ vendors, including many specialty food vendors with free sampling, and a beautiful assortment of hand made crafts. The Pink Zebra booth stood out from the crowd offering " FREE SMELLS". The booth had many visitors making their own candle creations. The kids and adults had fun creating their own candle scents. The zebra diva offered other products for sale that day including, simmer pots, simmering lights, premade sprinkles jars, and our unique fragrant reed diffusers. One lucky customer also won their free raffle of a new pink zebra simmer pot. We would love to set up at your local fair or event just call us toll free at 877-466-8449 . Great for kids birthday parties, weddings and girls night outs! Wow what a amazing weekend for Pink Zebra! October 4th marked "October Opportunity" Rally day all across the US. The direct sales fragrance company held rallies at 10 different locations. From CT to WA. Consultants from all areas of the map got together to learn fabulous tips and training from some of Pink Zebras top leaders. The founders of Pink Zebra, Tom and Kelly Gaines also paid one lucky location a personal visit. Pink Zebra also offered guests at all the rallies an amazing sign on special as well as a chance to win a FREE Deluxe Pink Zebra Business enrollment kit, a $425 retail value. 10 lucky winners received the opportunity to change their lives by starting their own Pink Zebra Home Fragrance business that day. Other attendees who were already pink zebra consultants also learned valuable training on how to share the opportunity with others. Pink Zebra Kit Sale! $39* After $30 Rebate! $39* for $240 worth of products! $30 rebate, does not include tax or shipping and handling. Hurry! This special price is valid from 9/28 to 9/30 only! 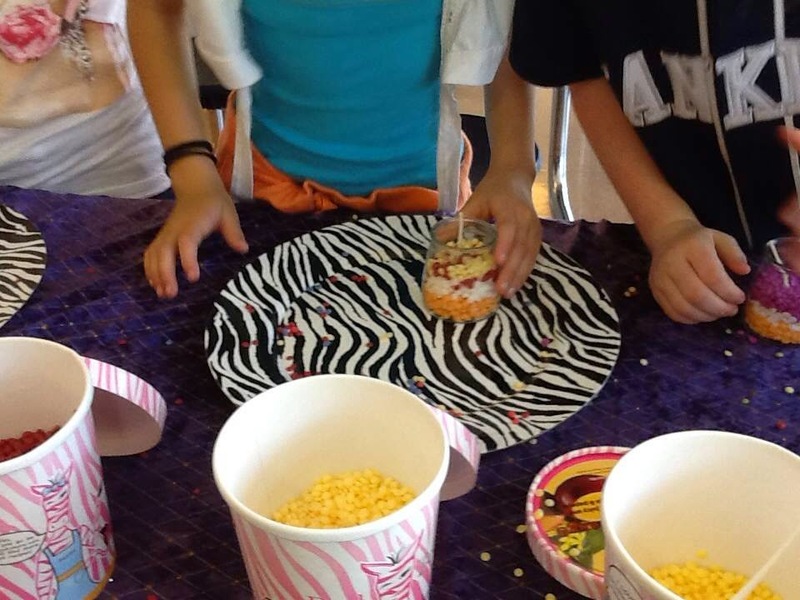 Pink Zebra Pop Corn Ball Sprinkles - NEW!! Get ready for Fall. It's my favorite time of year. 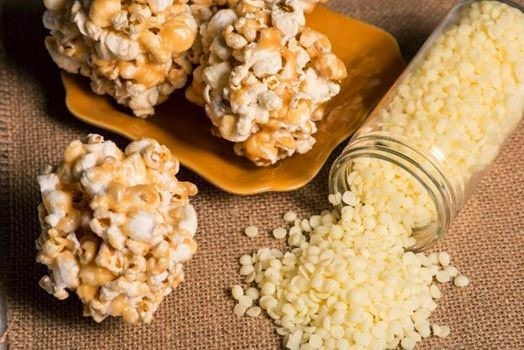 Weekends spent at the county fair, freshly baked goodies, and popcorn! Yum! - get in the mood with this delicious addition to the Pink Zebra Sprinkles line. Hurry and get yours. Available Oct. 1st. Pink Zebra Home Fragrance Sprinkles Popcorn ball comes in our 3.75 jar, Available for $8 or free if you host a qualifying party. Don't feel like having an in home party? Try an online one! Let me know if you are interested and we can set you up with a fun online party. No mess, No worries. Just invite your friends to sit in the comfort of their own home and order right off the web. You get the credit as if you hosted an in home candle party. September is a special time of year at Pink Zebra. 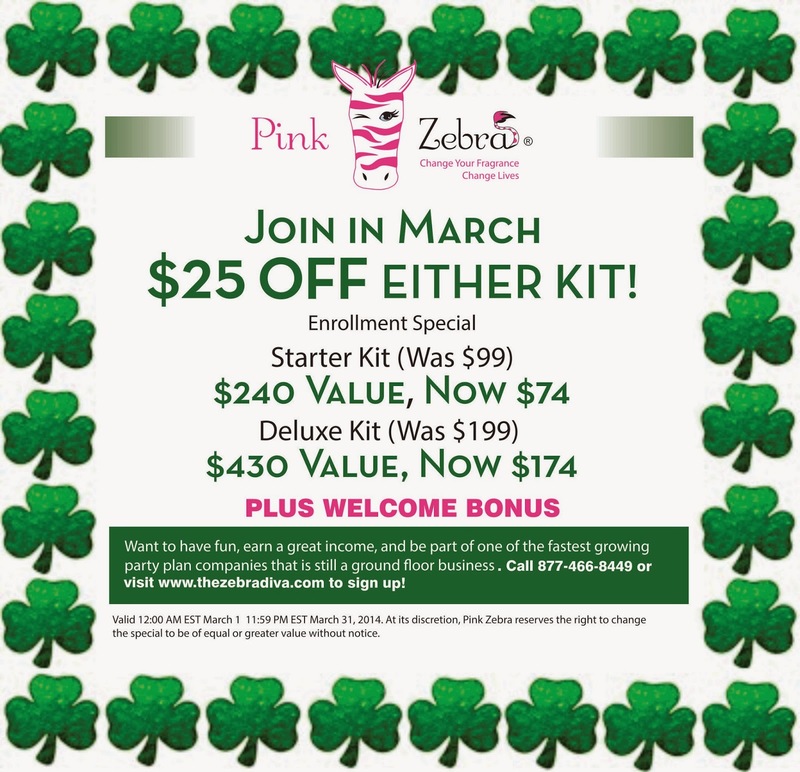 It is the month that this great company was created, because of this Pink Zebra is having an anniversary special on enrollment kits. Both the starter kit and the deluxe business kit are on sale for the entire month of September! This is an amazing offer, and the lowest price on our kits to date. Where else can you buy/start a business for just $69.30! The starter kit is valued at $240 and you can get it now for just $69.30! That's a steal. 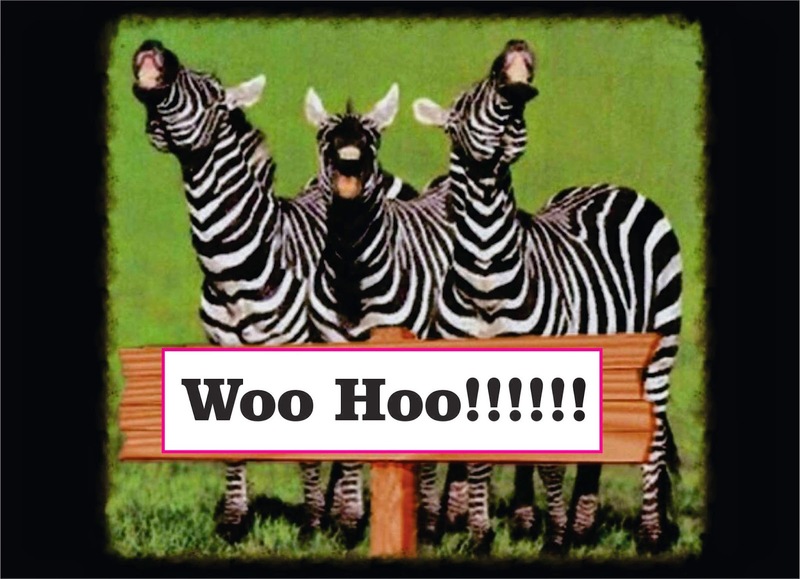 For information on starting your own Pink Zebra home candle business and becoming a pink zebra independent consultant you can contact me at 877-466-8449 or if you are ready to take the plunge and be part of our herd, simply go to http://www.joinpz.com and fill out the business application. It's quick and easy! You can have your Pink zebra home fragrance business up and running in the matter of minutes. What are you waiting for? Now is the time to join us. Call 877-466-8449 for more information about this offer. raffles, prizes and great training! If you are thinking about becoming a Pink Zebra consultant, this event is a fun way to learn about the company, receive great training from top pink zebra leaders, and above all join Pink Zebra at a discount! Yes, all guests attending our Pink Zebra Opportunities rallies will be eligible to sign on with Pink Zebra that day with an exclusive sign on special JUST for rally attendees. 10 am to 12:30 pm local time. first 150 registrants, so hurry, register now! Only $35 for Consultants and $8 for guests. All attendees receive a special gift! Director Karen C Esposito will be leading the Orange CT Rally. Join her. Pink Zebra Rally Locations. Find the location nearest you. 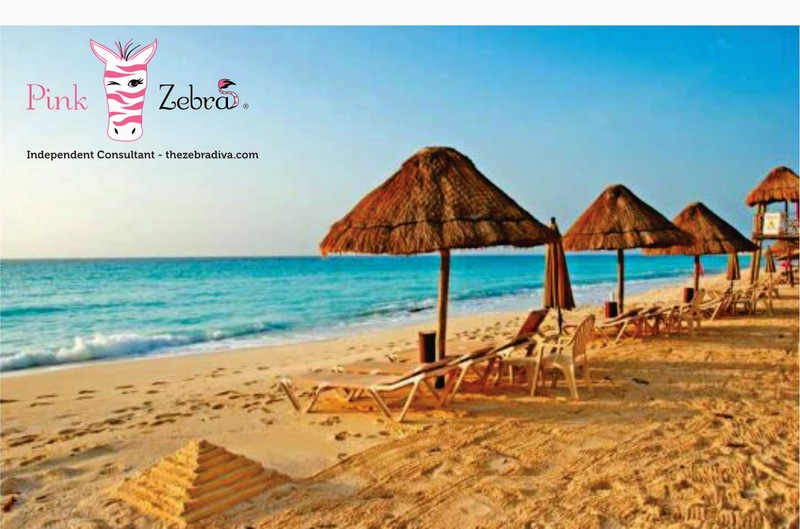 The Carribbean is Calling YOU - Join us Pink Zebra Style - FREE! Beautiful Sandy Beaches of Jamaica! Pink Zebra 2014 Incentive Trip Announced! 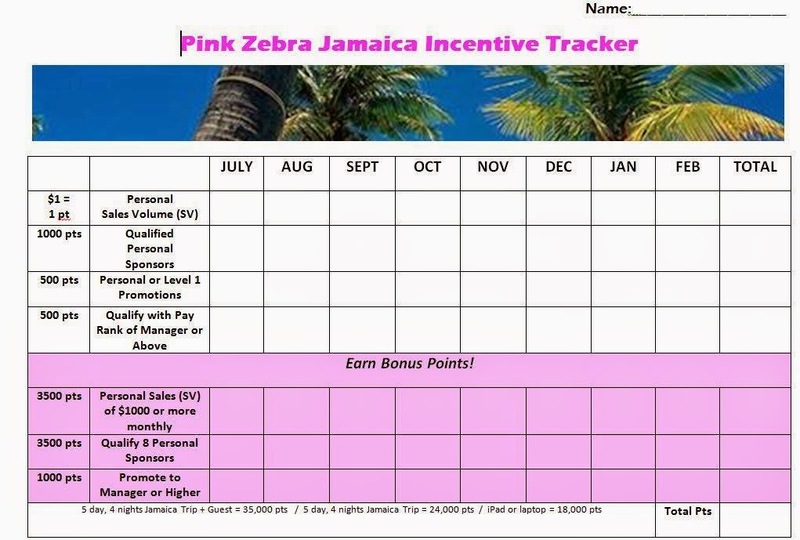 How do you earn the Pink Zebra 2014 Incentive Trip you say? It's EZPZ mon!! Check out the chart below for more information. You can give me a call at 877-466-8449 and I would be happy to explain how you too can earn this trip. To make it EZPZ for you to track your points I have also designed an Incentive Trip Tracker. 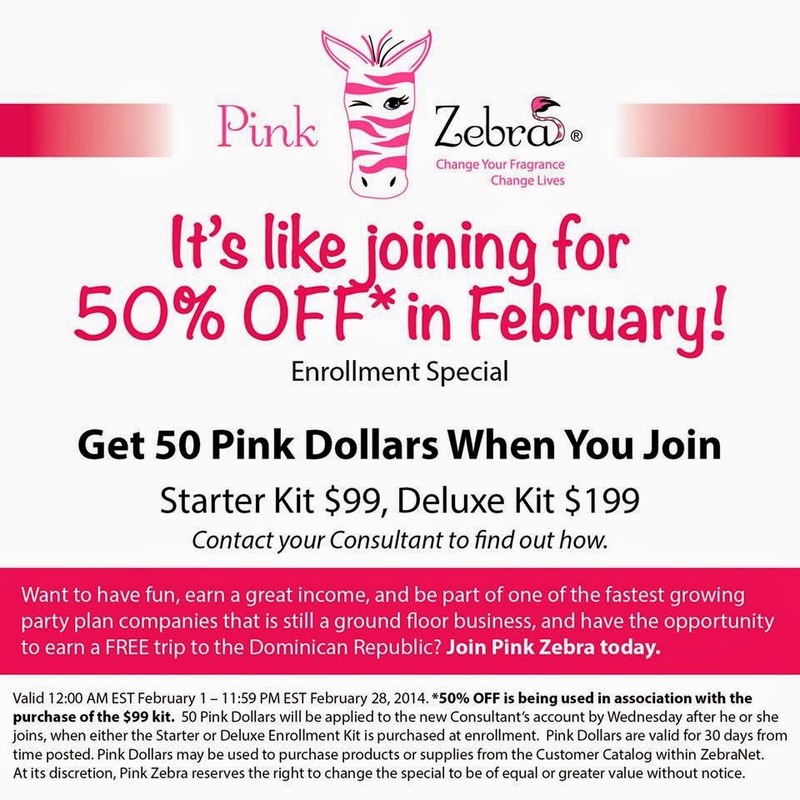 Are you ready to join by becoming a Pink Zebra Consultant? Click here and lets get you started! Fall is my favorite time of year! For some the changing of the seasons means cooler temperatures, country fairs, and the smell of a fresh pie baking in grandma's oven. Let Pink Zebra Home Fragrance take you back to that time without the calories or mess of baking! 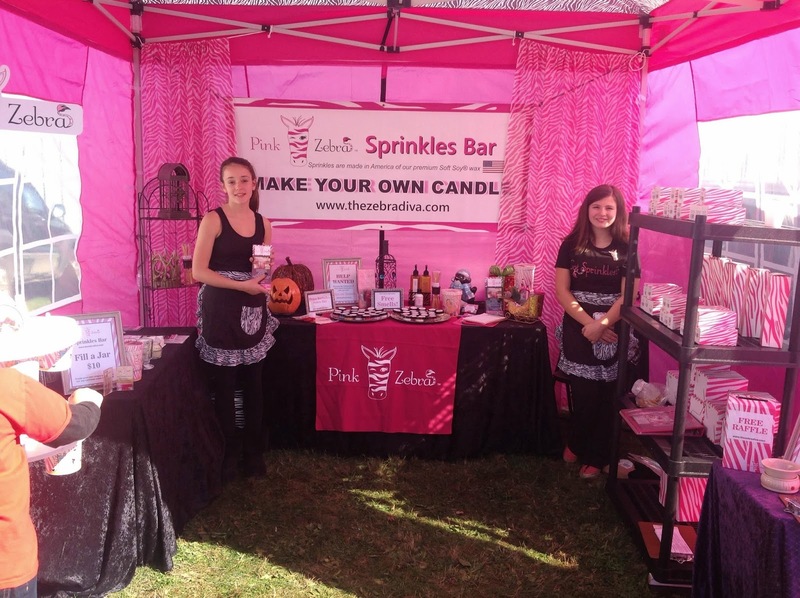 Your home can still have these amazing scents just buy buying some of our Pink Zebra Sprinkles, and making your own recipes. Just like in baking, our soft soy sprinkles can be mixed and matched to create your own unique "recipe". Check out these new black walnut and apple pie recipes above! Your can burn your sprinkles in one of our beautiful flameless simmering lights or simmer pots, or choose to create your own glimmer candles if you desire the ambiance of wicked candle. Pink zebra offers it all! With over 60 sprinkles scents to choose from the possibilities are endless. 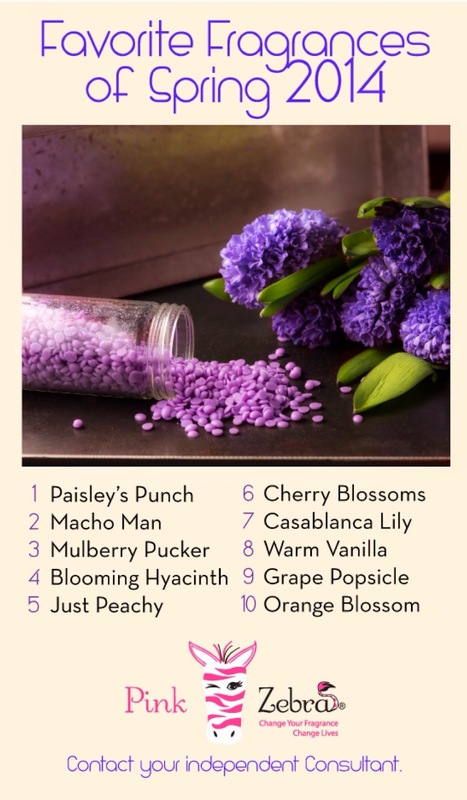 If you are a fan of Scentsy do give our scents a try I promise you will be pleasantly surprised! Pink Zebra 2014 Reunion - Pink Dollar Divas Team Rocks the Awards! Karen Esposito's Pink Zebra Team! and Dudes won major awards. Karen is a very proud director of an amazing team. Some might think that she shouldn't show the teams trophies but she believes recognition of accomplishments is something to be proud of. Her awards are a reflection of her successful team. 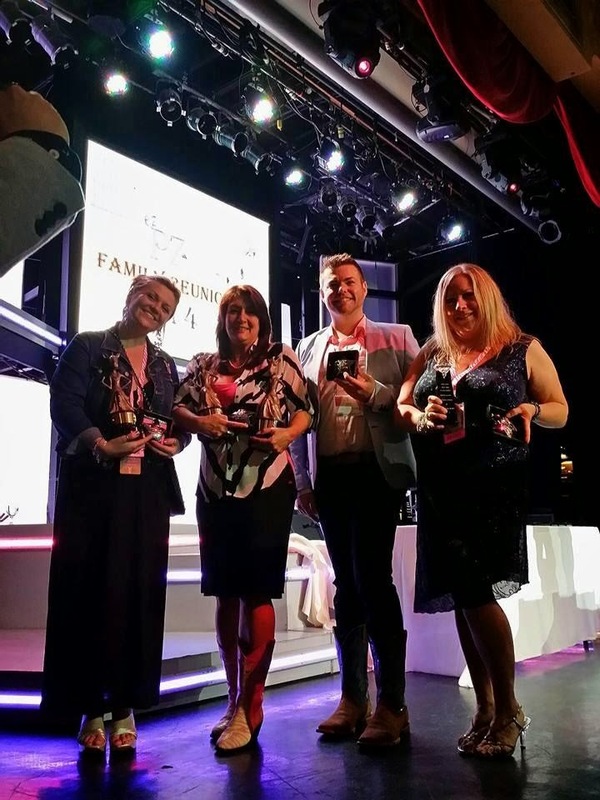 Karen C Esposito, now a 3 time Paisley award winner, holds the honor of the only Pink Zebra consultant in the company to earn 3 Paisleys, 2 years in a row, last year Karen won #1 for Sponsoring, and #2 for Team building. This year Karen earned 2 top Paisley awards as seen above, again for #1 in Sponsoring and this year #1 in Team promotions on her level one. This means that her team promotes!! Divas and Dudes Rock the 2014 Pink Zebra Paisley Awards! Where will you be next year at reunion? I want to see YOU walk across that stage with me! Pink Dollar Divas also won major categories for #1 and #3 in sales in the nation and #2 and #3 for the Most Parties held in the company, #2 for Level one promotions, many many others received top 50 and 100 spots!! Our team also won 7 of the 15 Consistency Awards, and 11 out of 24 of our team earned a free trip to Punta Cana!!! For those of you who do not know what Paisley is, it is the top honor you can receive as a Pink Zebra consultant. This award is given for excellence nationwide, out of 16,000 consultants currently. Karen is always looking for people to join her team. Your success is her success! Give her a call she would love to help you too become a successful Pink Zebra Consultant. Join on top right hand corner, make sure you see Karen's name, or use consultant #50250. Whats a wedding without Pink Zebra?! 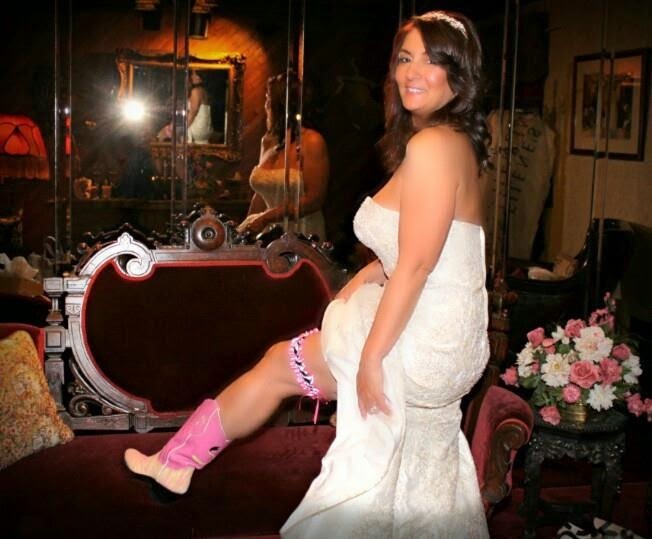 Director Karen C. Esposito wanted to make sure that Pink Zebra was a part of her wedding day.So what better way to do that than to wear her Pink Zebra Director boots and garter. Pink Zebra is so generous with their consultants. One of the perks of becoming a Director with Pink Zebra Home is custom made boots. These top quality boots are made from sting ray and leather, and have each directors initials and start date with Pink zebra on each side. To ensure we have the perfect fit, Pink Zebra will fly you down to Houston, Texas our corporate home, for a boot fitting and weekend of spoiling. As most of my family and friends have already made our glimmer candles I wanted to share something more with them - our Pink Zebra Simmering Lights Shades and glimmer candles. 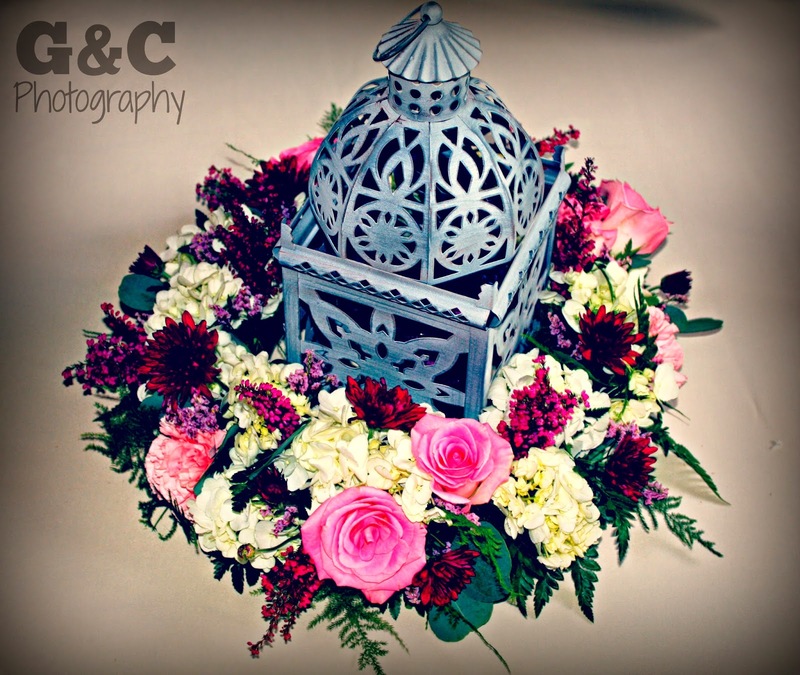 These make great wedding table centerpieces. Guests were fighting over them. The DJ played a game and each guest was able to take home the centerpiece. 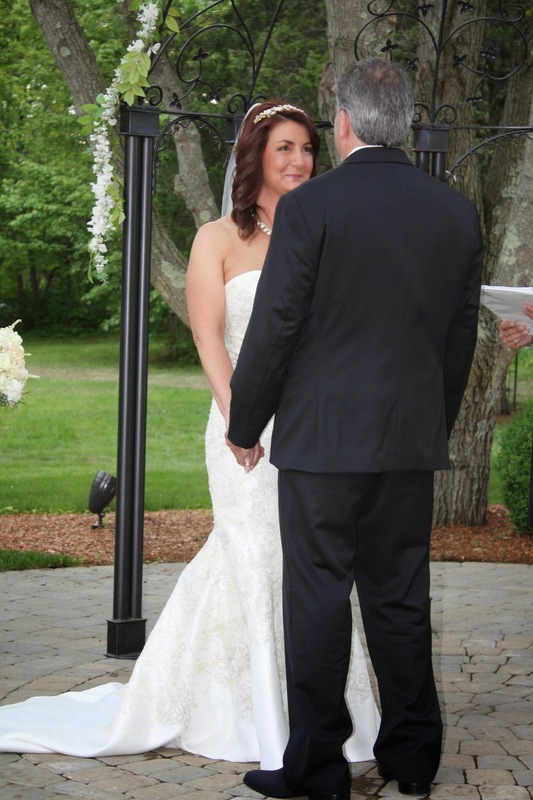 The wedding was a huge hit! Everyone had fun, even had some of my favorite zebras there. Join Pink Zebra in May- Its like joining for FREE!! Join an award winning team! Get the support you need. Team members throughout the US! and growing each day. Take the plunge. Be part of a group of successful pink zebra consultants! Our Amazing Pink Zebra Incentive Trip - Vacation Like a Rock Star! Party Like a Rock Star! 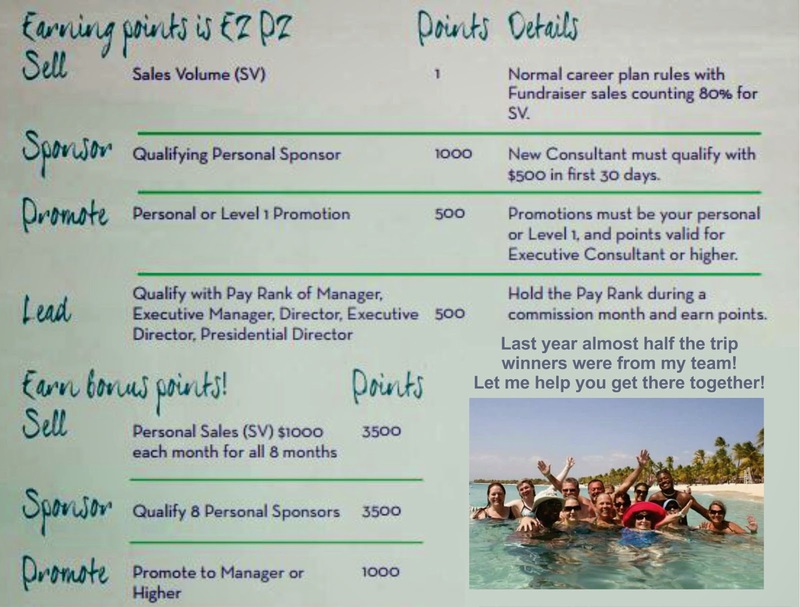 That's What Pink Zebra 2014 Trip Incentive Winners did last month in beautiful Punta Cana, Dominican Republic. Some of my Amazing Pink Zebra Team, and the owner of Pink Zebra Kelly Gaines having some fun in the sun! Wow! Is all I can say!! What an amazing incentive trip Pink Zebra offered its top earners!! I am so very proud to say that 13 of the 24 trip earners were from my team! The PINK DOLLAR DIVAS and DUDES. This trip was an all expense paid vacation, airfare and all accommodations paid for, as well as the resort ALL INCLUSIVE! That means we didn't pay for anything! Meals, drinks, activities, tips, room service all free! 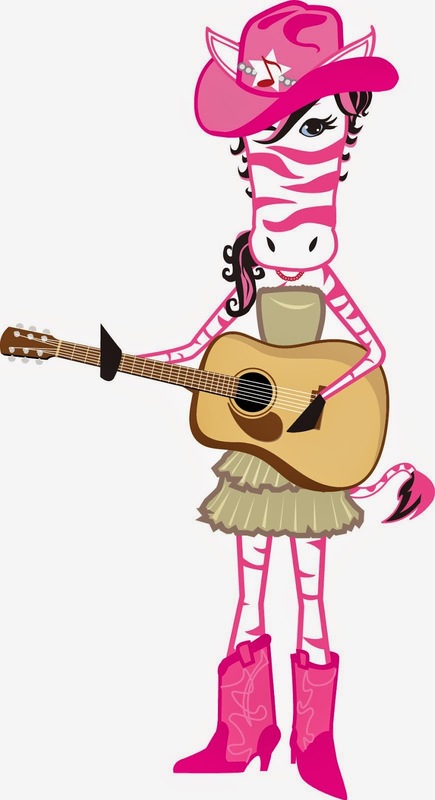 As a Director for Pink Zebra, my fiance and I, also a zebra, got the star treatment. On arrival to the hotel we got whisked away with a VIP check in and a glass of champagne awaiting us! Our hotel room also had bottle of red wine our favorite with 2 glasses waiting for us, and oh did i mention the jacuzzi! Our beautiful hotel room in the Dominican Republic, Punta Cana. The hotel was fantastic. Hard Rock hotel & casino Punta Cana offers 11 all- inclusive dining venues, including elegant a la carte themed restaurants, & 14 bars. 24-hour room service is available.Caffetto - Sometimes you need breakfast. Sometimes you need a cocktail. Sometimes you need a breakfast cocktail. Sometimes you need room service!!! We got it all!!! The hotel also gave us $500 in credit to spend at the gift shops! Check out the beautiful expansive swimming pools with swim up bars! Here are more photos of our trip! Would love for you all to join us on the next trip!! Sign up with Pink Zebra today and I can help you too earn the next trip! Our new trip incentive will be announced in July so stay tuned! snorkeling in the caribbean, relaxing on the boat! Life is good! Some of my teams top leaders! Enjoying a private dinner on the beach! Pink Zebra Style. http://www.thezebradiva.com and click join on the top right. Make sure you see my name Karen and ID # 50250. Call me at 877-466-8449 with any questions you may have about pink zebra, I can help YOU! New for spring from Pink Zebra Home! Fresh new sprinkle scents! New scents by Pink Zebra Home Fragrances! Just in time for spring. Mix and match to create your own specials soy sprinkle blends. The Zebra Diva and Karen one of our teams managers! More Pink Zebra Leaders and zebras in training! number of corporate rallies through out the US on April 12th. CT Pink Zebra Home Rally! Be part of a fun, successful team! Amazing New Sign on Offer from Pink Zebra! and RECEIVE FREE gifts PLUS $25 off your kit! Pink Zebra has out done itself! Check out this month's amazing offer! in your first 30 days! Look for my name Karen at the top and sign on! Join Pink Zebra Home in March! Be part of an award winning team with Pink Zebra! Join our successful group of Pink Zebra consultants. You will be in your business with yourself but never by yourself. and I can help you achieve yours. Last year our team came in 2nd for team promotions, second to MY top girl winning first in team promotions. I was also #1 in sponsoring which is team building. So if you are looking to work with professionals with experience, give me a call. Interview your potential sponsor and make sure you click with that person. Sometimes the best offer is not always the smartest offer. Pink Zebra Home Fragances NEW spring summer line sure to please! Join Pink Zebra in February NEW Spring Summer Kits In! So you have been waiting to join us! Well NOW is the time. Our fabulous new spring/summer Pink Zebra kits have arrived! 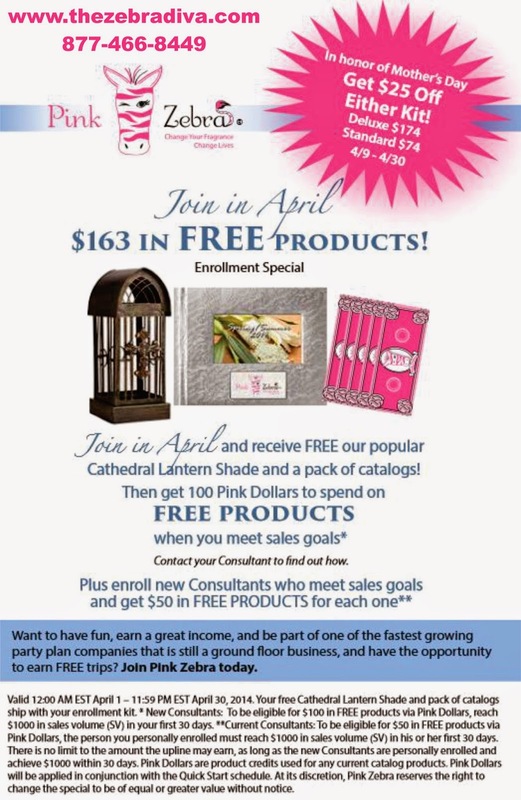 And as a bonus you will receive $50 Pink Dollars, (like cash) to spend on whatever you want in our catalog!! Add it to your kit or keep it for yourself! The new product lines are amazing!!! Join a winning team! You will be in business for yourself but not buy yourself. I want you to be successful!!! Ask about my sign on special! Pink Zebra Home Candle bar, soy sprinkles, glimmer candle kits, wicks including in our glimmer candle glassware All glassware fire tested for safety.TLCs 4 Weddings Candle Bar, make your own candle unique wedding favors. Make your own signature scent recipes for you special day. 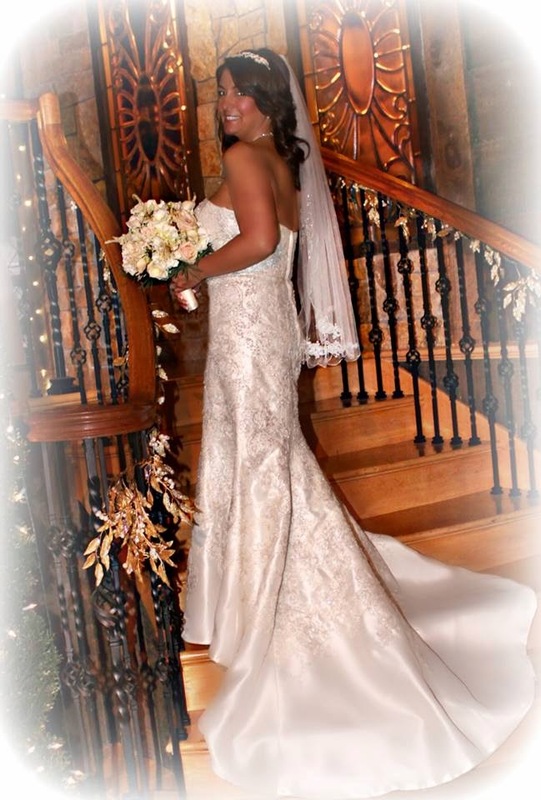 Each guest can remember your special day with a glimmer candle from Pink Zebra. Fun and easy to make. and order your supplies now. 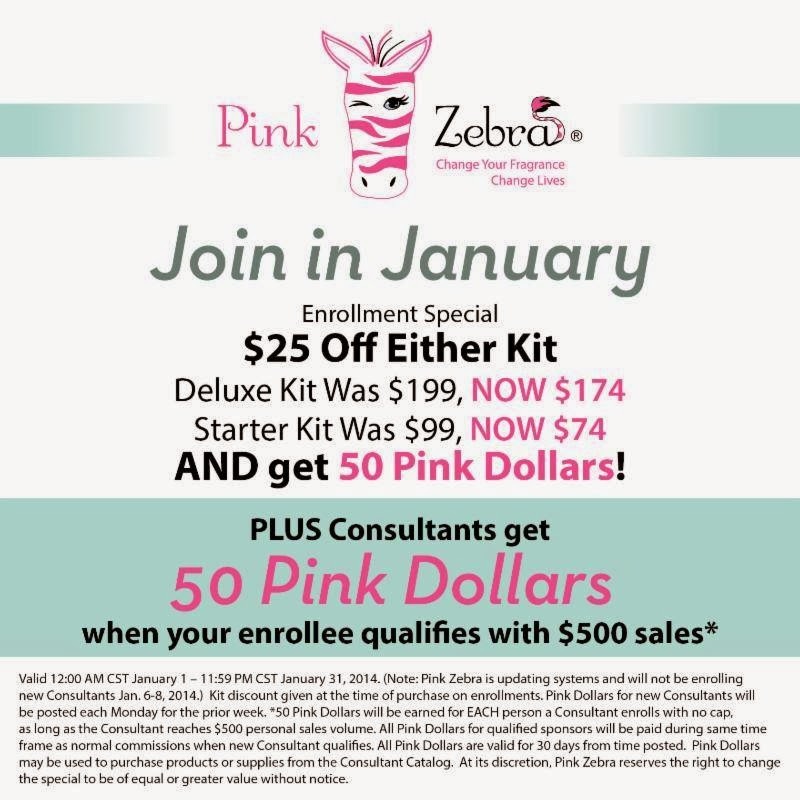 Sign Up for Pink Zebra, Join in January save $25 Plus $50 in Shopping Credit! you choose anything in the catalog! PLUS my sign on Bonus!! Pink Zebra is updating our system between now and January 10th. If you need help with anything or have questions about Pink Zebra please feel free to call me toll free at 877-466-8449. I would be glad to help you. Our kits are still on sale!! You can join us this month for just $74 PLUS my sign on bonus!! Thats a GREAT deal! Start the new year off right!